While the pasta is cooking, heat a deep frying pan over high heat. Add the oil, capers, garlic and chilli and cook for 1 minute. Add the chicken and lemon zest and cook, stirring, for 4 minutes or until the chicken is heated through. Add the pasta to the pan with the lemon juice, basil, salt and pepper and toss to combine. Place in serving bowls and top with parmesan. 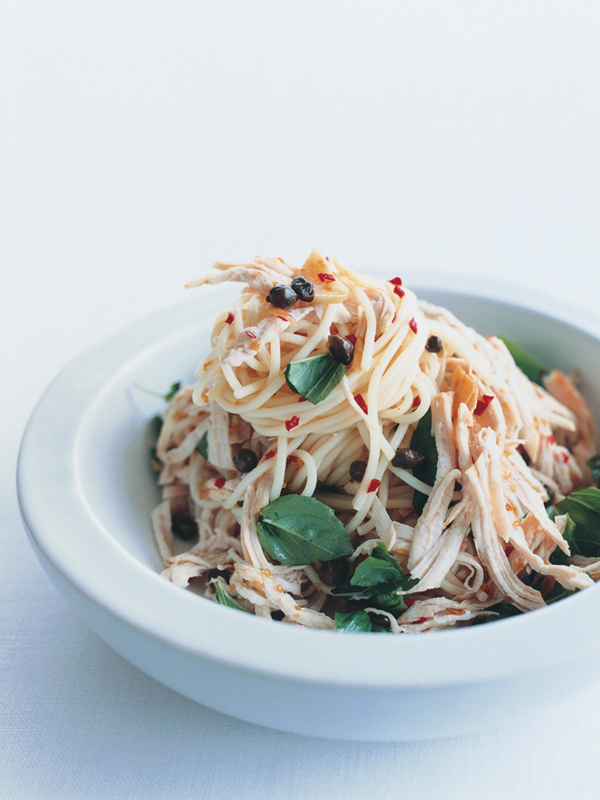 Serves 4.
this pasta recipe is deelicious….